New Flagship Model : Air Force One PREMIUM at Hong Kong High-End Audio Visual Show. Hideaki Nishikawa will demonstrate the prototype of the new flagship turntable model, Air Force One Premium for the second time at international shows since High End Munich 2016. Please visit room S222 to experience Air Force One Premium and other TechDAS analog products. 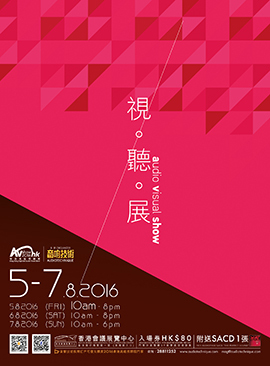 Hong Kong High-End Audio Visual Show Hong Kong Convention And Exhibition Centre August 5-7, 2016.